A Spanish princess. Raised to be modest, obedient and devout. Destined to be an English Queen. Six weeks from home across treacherous seas, everything is different: the language, the food, the weather. And for her there is no comfort in any of it. At sixteen years-old, Catalina is alone among strangers. She misses her mother. She mourns her lost brother. She cannot trust even those assigned to her protection. 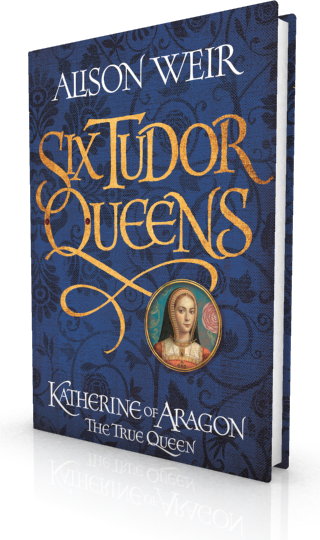 KATHERINE OF ARAGON. 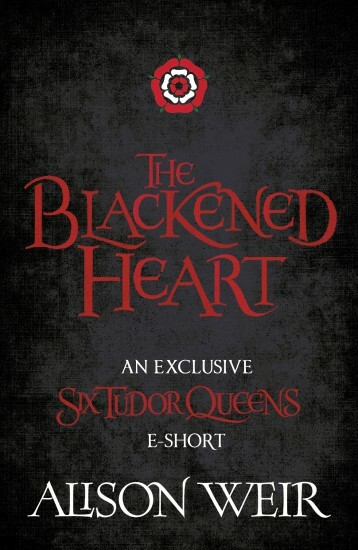 The first of Henry’s Queens. Her story. 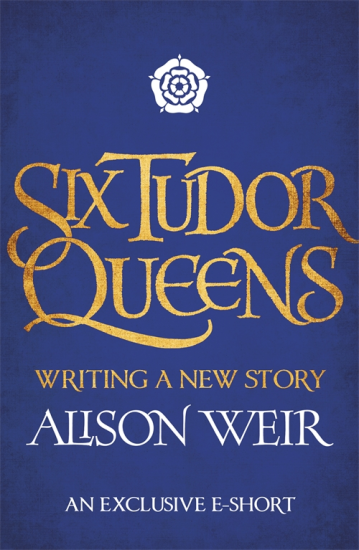 Acclaimed, bestselling historian Alison Weir has based her enthralling account of Henry VIII’s first wife on extensive research and new theories. She reveals a strong, spirited woman determined to fight for her rights and the rightful place of her daughter. 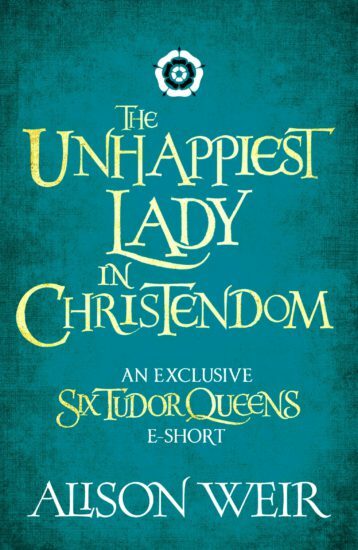 A woman who believed that to be the wife of a King was her destiny. History tells us how she died. This captivating novel shows us how she lived. The coast of England was closer now. 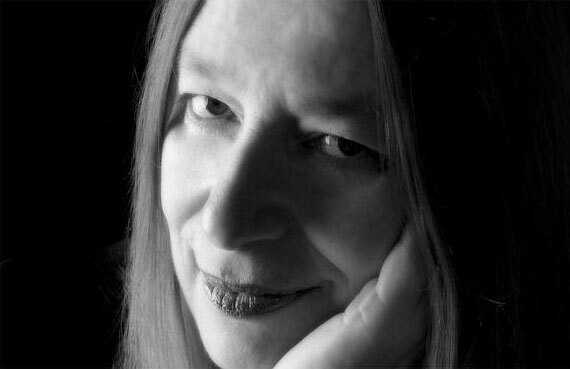 Standing at the balustrade of the deck, high above the stern of the ship, with tendrils of red-gold hair whipping about her face, Catalina could see green and brown hills and the spires of churches, with houses huddled together beside them; and, at a dizzying distance below, between the land and the rolling vessel, the grey, churning sea. How different it all looked from La Coruna, with its warm blue waters and its mighty Tower of Hercules, or the dramatic wide sweep of the bay of Laredo! Everything was going to be different from now on. Her maid-of-honour and dear friend, Maria de Salinas, was standing beside her. ‘It cannot be long now till we come into port,’ Catalina said. ‘When I think how many years I have dreamed of coming to England, I cannot quite believe I am nearly there. I thank God that you are with me, Maria. I would not want to face this alone.’ There was no one else to whom she would have admitted that. 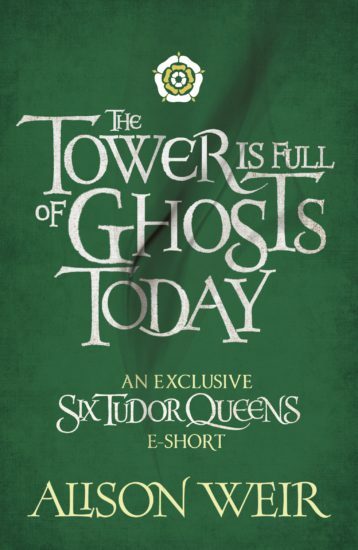 ‘And I am glad of your Highness being with me,’ Maria replied. She was two years older than Catalina, and they had been friends all their lives. It was typical of Maria to have pulled off her cap and let her rippling long night-black hair blow free in the wind. She was almost dancing with anticipation, her large eyes luminous as she gazed at the land ahead. Catalina reminded herself that Maria was also going into the unknown. It was expected that she and the other young ladies in attendance on their Infanta would be found well-born husbands in England. But where Katherine was facing the future with a certain trepidation, Maria could barely contain her excitement. 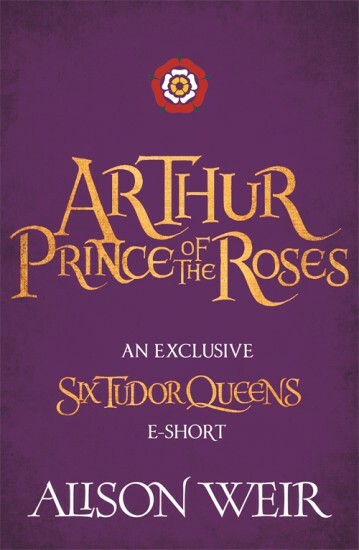 ‘Soon I will come face-to-face with Prince Arthur,’ Catalina said. She had been told countless times that her betrothed was a golden prince, beautiful and graceful with many excellent qualities, and that the English people hailed him as their great hope for the future. ‘I pray that I may please him.’ And that all will be well. 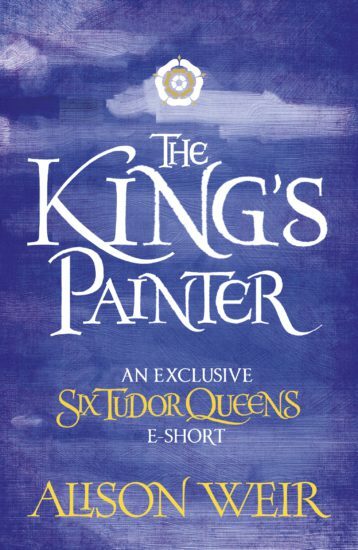 ‘Judging by his letters, he is as eager to meet your Highness as you are to see him. You are lucky to have a husband who loves you.’ Maria smiled encouragingly – and not a little enviously. ‘But how can he love me when he has never met me?’ Catalina asked, voicing a concern she had kept to herself for a long time. ‘Was he that much taken by my portrait?’ Master Miguel, her mother’s court painter, had taken an excellent likeness. 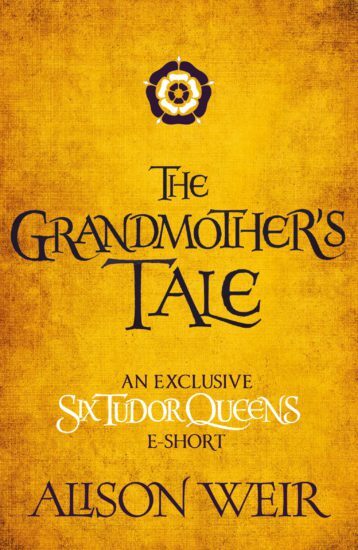 and his mother, the Lady Margaret, had specially requested it, as they spoke no Spanish or Latin. And they had urged that Katherine cultivate a taste for wine, as the water in England was undrinkable. She had duly complied. 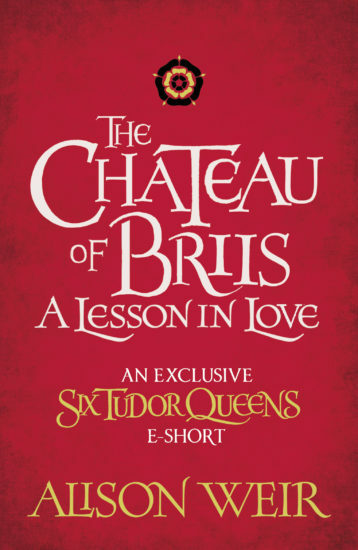 She had expected many such requests and instructions to prepare her for her life in England, but there had been just one more, one that had immeasurably troubled her. ‘King Henry wants me to forget Spain,’ Catalina revealed. ‘He thinks I will be happier by not remembering it. Dr de Puebla wrote that to the King my father.’ Dr de Puebla was Spain’s resident ambassador in England, and it was he who had negotiated her marriage. ‘King Henry means well, I am sure, Highness,’ Maria soothed. ‘I can never forget my homeland,’ Catalina declared, tears welling as visions of the land of her birth came to mind, ‘but I am determined to be a good Englishwoman.’ She blinked the tears away. succeeded to the throne, she would be queen of England. 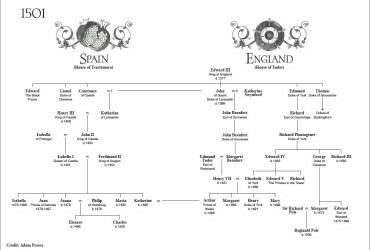 Here is Katherine of Aragon’s family tree. How did Henry VIII become a monster? 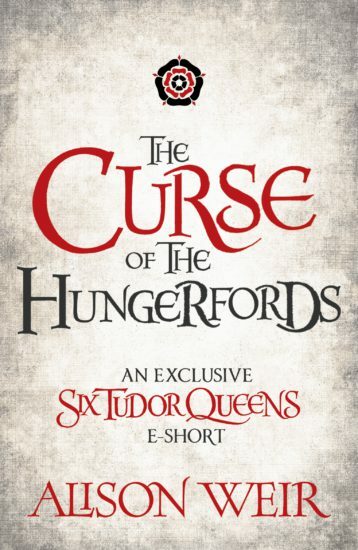 Henry VIII Hero or Villain?